The Double Bye effect was strong: After giving up a 13-0 run to end the first half, Rhode Island just didn’t have the legs to keep up with the Bonnies in the second half after dominating much of the first. Rhody shot 28 percent in the second half while Bona shot 54 percent. After 2 exhausting games, the Rams just didn’t have enough in the tank to get themselves to the finals. This doesn’t bode well for SLU next game. 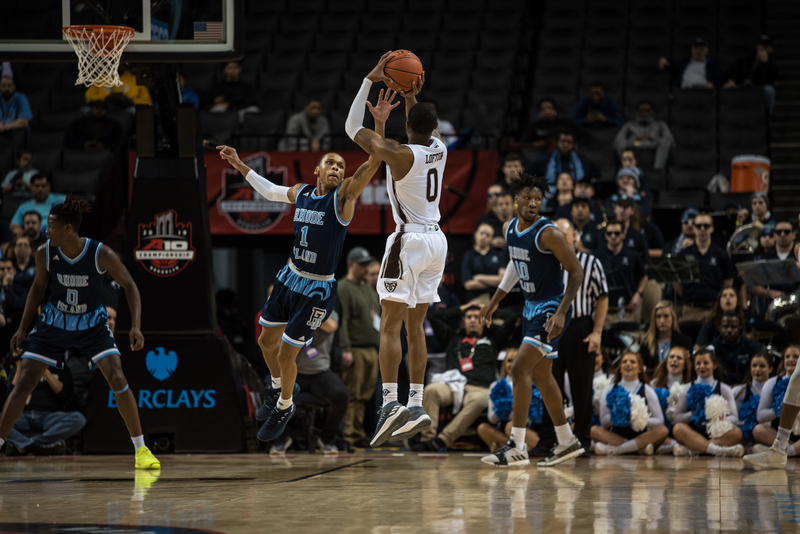 St. Bonaventure’s veterans need to contribute if they want to win: Bona’s freshmen played great pretty much the whole game, but LaDarien Griffin and Courtney Stockard were absolute non-factors in the first half. However, they were able to pick it up in the second half. Stockard had 9 points (albeit on 1-11 shooting) and Griffin had 13 points and 6 rebounds. Griffin in particular was a spark for the Bonnies with a highlight reel dunk that brought the house down. Clearly, they don’t need to carry the team, but they need to carry their weight on the court tomorrow if they’re going dancing.